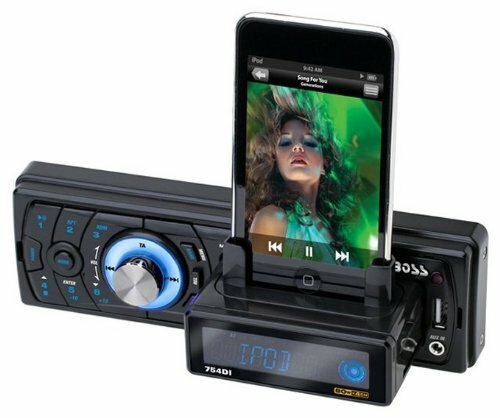 The BOSS 754DI In-Dash Solid State MP3 Car Audio iPod Docking Station Receiver is a single-DIN unit that features a detachable front panel and iPod/iPhone docking with full control for MP3 playback! 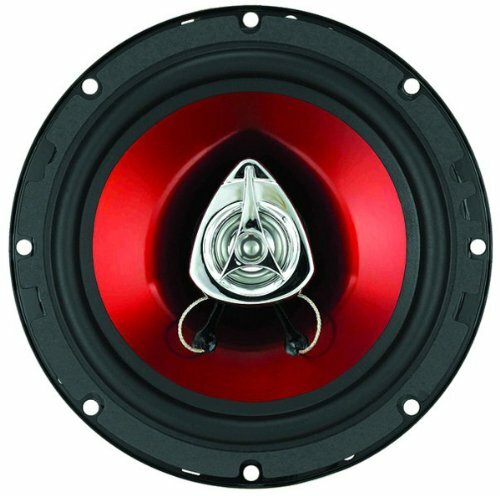 Other features include a total power output of 320 Watts, 12 AM and 18 FM presets, USA and Europe switchable radio stations, illuminated controls, a front panel USB/AUX/SD/MMC inputs, and remote control. 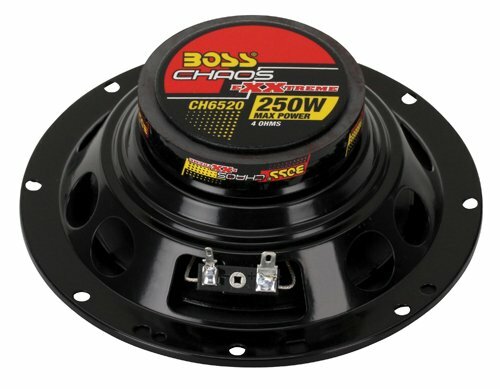 The TWO BOSS CH6520 6.5" 2-Way 250W CHAOS EXXTREME SERIES Car Audio Speakers can handle 125 watts of MAX power per speaker (250 watts per pair), which make them perfect for upgrading from factory speakers! 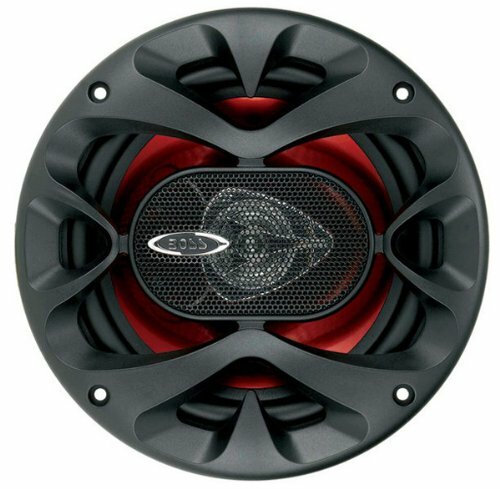 They feature a poly-injected cone with a rubber surround, an aluminum voice coil, a polymide dome tweeter, and a mounting depth of only 2.125-inches. 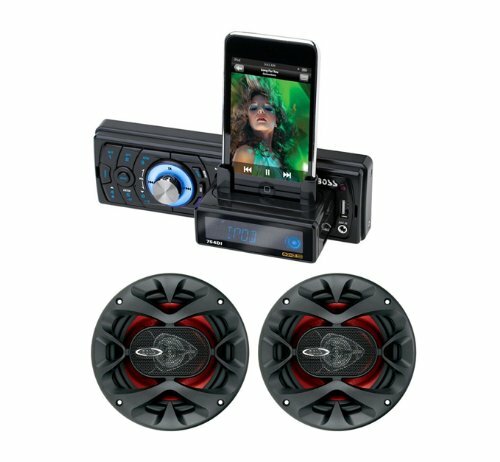 Get a digital audio system for your car in one convenient package with the BOSS 754DI In-Dash Solid State MP3 Car Audio iPod Docking Station Receiver and the Boss CH6520 6.5" 2-Way 250W CHAOS EXXTREME SERIES Car Audio Speakers!